Facebook has been making some fairly Twitter-heavy moves lately, and it’s latest iOS update is no exception. With version 6.1.1 of Facebook for iOS, Facebook now enables users to re-share photos that your friends have shared on your Facebook News Feed. You’ve been able to re-share posts for awhile, but now individual photos are getting the treatment as well. 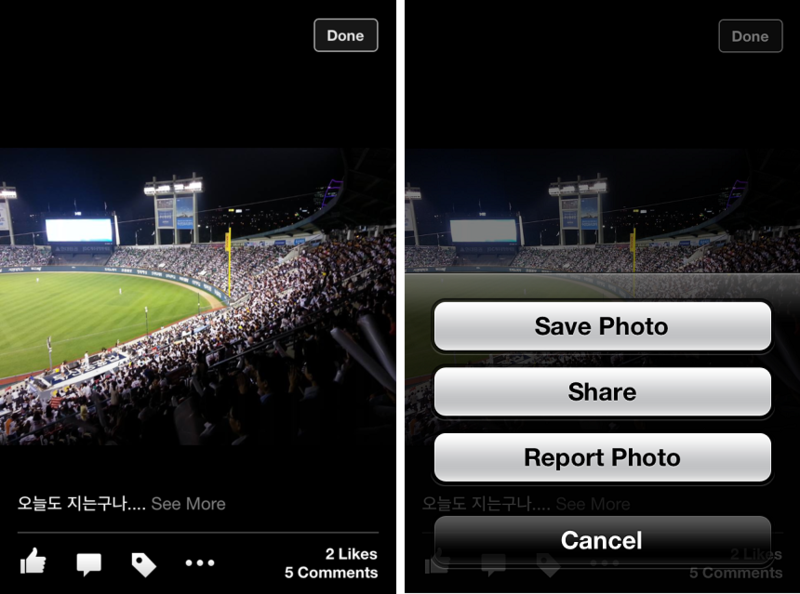 At the same time, Facebook enables you to save anyone’s photos. Previously the only way to save photos was by taking a screenshot of them – yes, it’s a little strange that you can save anyone’s photos and they can save yours, but since screenshotting them has always been an option, it’s not all that surprising. And the creep factor of saving someone else’s photo pails in comparison to another new feature: Facebook enables you to make someone else’s photo your own profile picture. But interestingly enough, when we checked this feature out post-update we found that it was nowhere to be found at the time of writing. You’ve always had the option of making a photo you’re tagged in a profile picture, but now you can (allegedly) make any picture sit atop your profile page. Facebook has also introduced group messaging to its main app’s messaging feature, and for the first time the main app has a value proposition that might lure users away from Messenger to specifically chat with groups of friends. Although considering Facebook’s concerns over competing messaging apps, we’d expect to see the feature rolled out to the standalone Messenger app as well. Finally, Facebook is starting to pay more attention to the speed and performance of checking-in and viewing events. These features will load a lot quicker than it did before, so it’ll be less tedious to use.